Consumers today (your employees and business leadership among them) are more interested in the convenience mobile technology provides, however. They’re used to having an app for everything and being able to control their devices and software with a few taps or swipes. Most IT departments are struggling to catch up and acclimate to this new arrangement. 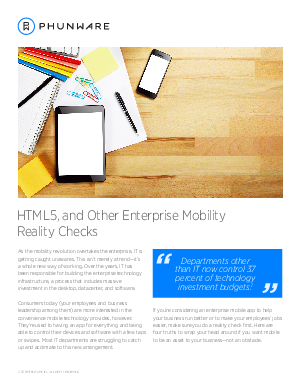 This article details the four truths to wrap your head around if you want mobile to be an asset to your business—not an obstacle.